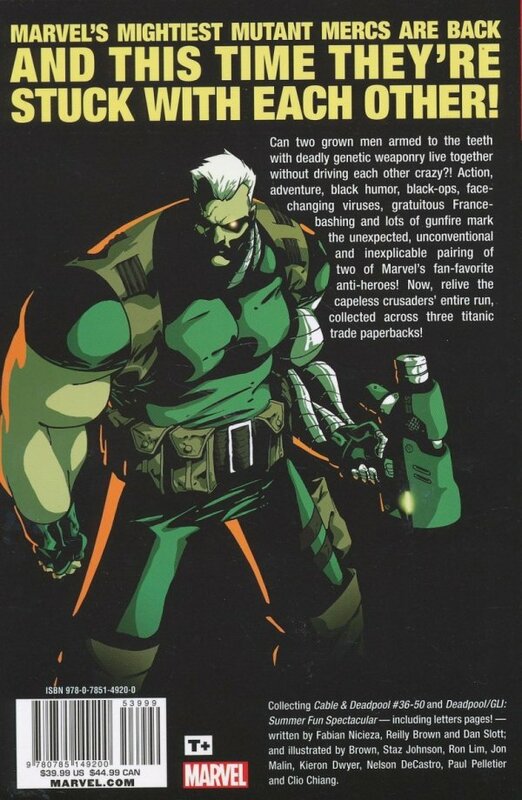 Wade Wilson and Nathan Summers-Marvel's mightiest mutant mercs-are back, and this time they're stuck with each other! Can two grown men armed to the teeth with deadly genetic weaponry live together without driving each other crazy?! Action, adventure, black humor, black-ops, face-changing viruses, gratuitous France-bashing and lots of gunfire mark the unexpected, unconventional and inexplicable pairing of two of Marvel's fan-favorite anti-heroes! Now, relive the capeless crusaders' entire run, collected across three titanic trade paperbacks! 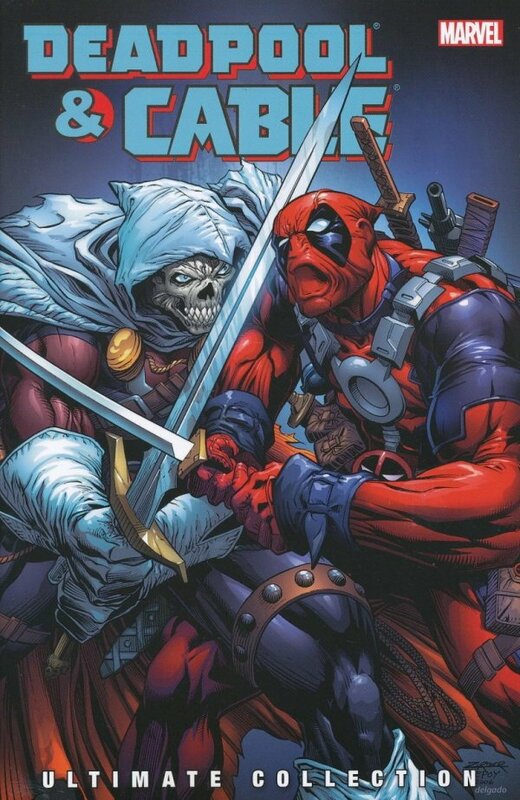 In this volume, Deadpool takes on the Taskmaster, reunites with the X-Men, and teams up with Wolverine, Captain America, Doctor Strange, Brother Voodoo, Ka-Zar, the Fantastic Four, Spider-Man, the Avengers?and the Great Lakes Initiative? !